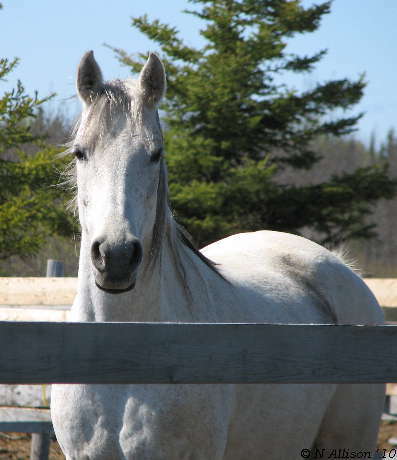 Kioska is a big, substantial and sweet-tempered mare with a pedigree that is linebred to Nabeg through some unique sources. 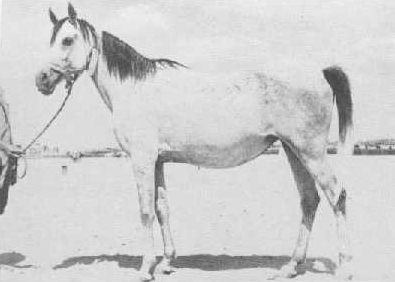 Her sire Kuvich has been the main progenitor for his sire Amsterdam, a Class A winner in western pleasure who also sired the multi-National & Regional western pleasure winner Confessions (out of the Mag daughter Nicolet NSB) and Kuvich's full brother VC Kalif, also a Regional western pleasure winner. 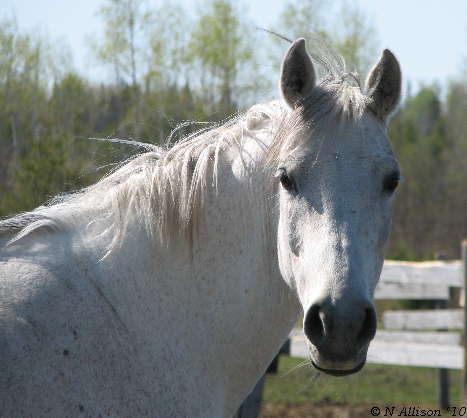 Amsterdam's sire Tallin is best known for his accomplishments as a sire in Poland, where he was used to reintroduce the Amurath-Sahib sire line and sired among others Wojslaw, sire of US National Champion Stallion and multi-National park and English pleasure winner Emanor. Kuvich's dam Kubanka is also the dam of the talented endurance horse WH Simon Phoenix, with a total of 710 AERC miles including a Tevis completion and 2 best conditions. Kubanka's sire Nut stood in Holland, and among his imported offspring are Regional winners in reining and working hunter and a multi-National winner in western pleasure & sidesaddle and hunter pleasure. Kioska's dam Golea De Monpelou spent her last years with us, making Kioska a very special addition to our group of mares. 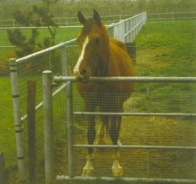 Golea was a rare Pant daughter, Pant being a Nabeg son out of Planeta who also produced the versatile show horse and sire Mpulse by *Muscat. 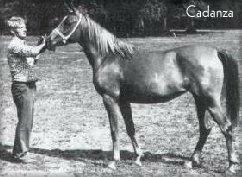 Golea came from the famous De Monpelou stud, with her dam Cadanza also being the maternal great-granddam of Mirok Monpelou, who is well known for his accomplishments in Europe and also spent some time in the US. Kioska produced a big and exciting 2012 colt sired by Magadan kgi, who was showing great promise but was sadly lost as a yearling. We had been eagerly awaiting the chance to breed her to Riurik kgi, and the cross did not disappoint, producing Karlotte kgi in 2015.